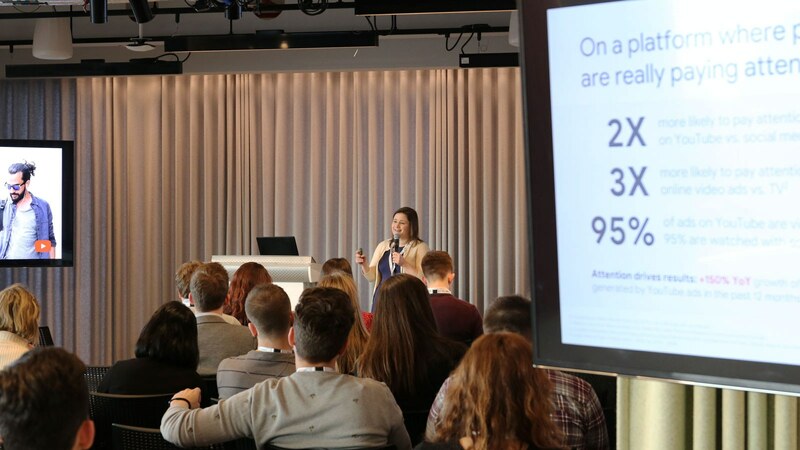 By plane, train, and automobile, delegates flocked to London last week to attend SearchStar’s ‘Future of Travel Advertising’ conference. 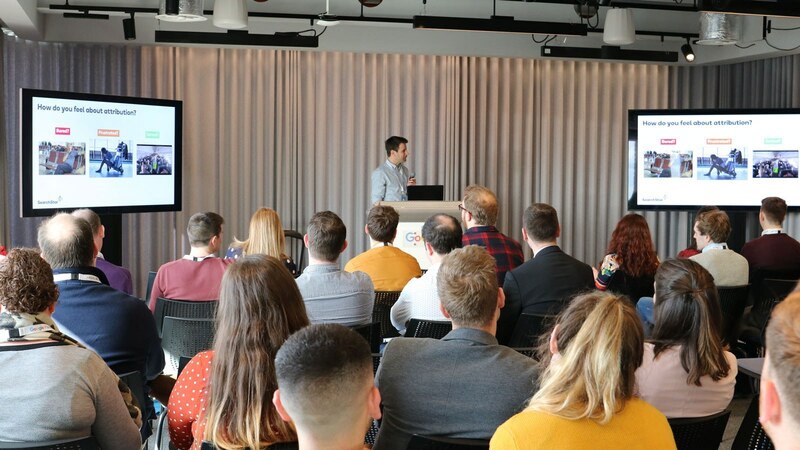 Hosted by Google at their prestigious King’s Cross offices, the day included presentations from Google travel experts, as well as SearchStar’s own team. Of course, there was also plenty of time for networking and general discussion around the themes of the day, all accompanied by a rather lovely view over North West London. 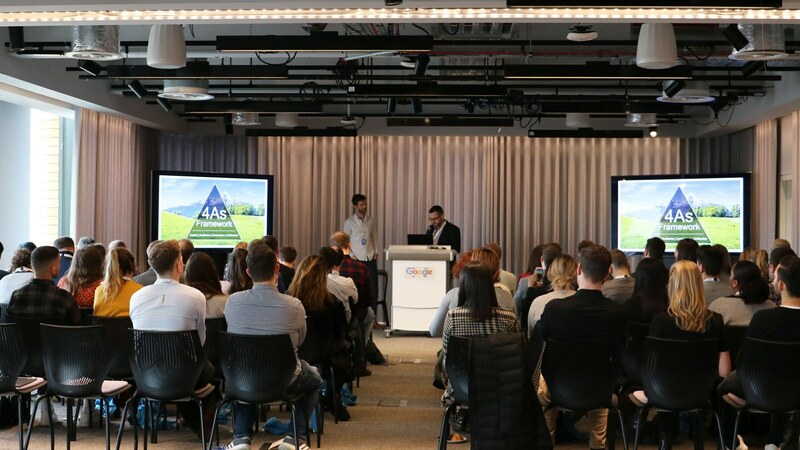 Our thanks to Google for hosting us, to our speakers for engaging us, and to all those who attended for joining us. We hope you enjoyed it as much as we did. In case you missed out, here’s our roundup of what was covered over the course of the day. Jayan, naturally enough, kicked off a talk about the future of travel marketing with a look back at the past. The point? To highlight the insanely swift pace of change in the world of digital marketing. In 2010, when the then CEO of Google, Eric Schmidt, first started banging the drum about how we should prioritise mobile, just 1.5% of web traffic came from mobile devices. By 2018, this figure had rocketed to over 50%. On this basis, we really need to be paying attention to nascent trends now because, chances are, they’ll very much be the mainstream in just a few years time. Importantly, Jayan contended, the key developments in travel advertising are at the intersection of shifts in the technological landscape - greater computing power and levels of connectivity - and an increase in consumer expectations in terms of automation, personalisation and sustainability. These trends in technology and consumer expectations mean that, for travel marketers to gain competitive advantage, they must focus on three areas: frictionless journeys, personalisation, and richer experiences. Faster mobile loading times, personalised web experiences and innovative, creative use of mobile apps were examples of what might be done to attend to these areas. SearchStar have been working with Intrepid Travel since 2015, and this session provided the opportunity to showcase some of the more innovative aspects of this work and demonstrate how, working in partnership, client and agency have been able to deliver significant and consistent year-on-year growth. Mike discussed the importance of getting the basics right first. By applying Google’s ‘4 A’s’ framework of Assets, Audience, Attribution and Automation, SearchStar were able to get everything in place to ensure optimal paid search performance and growth in the early stages of our work with Intrepid. However, it was recognised that search alone could only deliver a certain level of performance. To create the growth that Intrepid were asking for, it was necessary to look beyond search and to upper funnel channels such as display and video. From this, the ‘Beyond Borders’ approach was born. This had the aim of growing brand awareness among a core target demographic, wherever in Europe that audience was. Focusing on selected cities, the target audience was exposed to a range of YouTube Bumper Ads and In-Stream Video Ads, all supported by retargeting activity delivered by Google’s Display & Video 360 platform. The whole campaign delivered 12 million impressions, and 2.4 million ad views. Crucially, within the target cities, organic brand traffic rose by 1000% year-on-year, compared to the average for each country, while overall revenue for these cities grew by 80% year-on-year - a massive result and a complete vindication of the strategy to look beyond search for real brand growth. 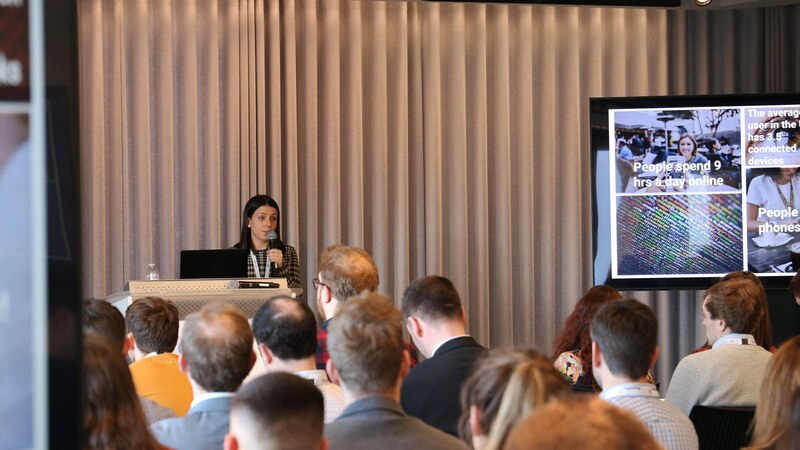 Rachel picked up on the three future priorities identified by Jayan - frictionless journeys, personalisation and richer experiences - and showed how they related to the latest product developments coming out of Google. To create frictionless journeys, we must understand the typical stages of a journey from discovery, through engagement and on to booking. Discovery can be aided massively by utilising the power of video ads. Given that 64% of people who watch travel videos on YouTube doing so when they’re thinking of booking a trip, this is the ideal place to inspire. When it comes to engagement, a great mobile experience is vital, particularly with regards mobile page speed. WIth 53% of mobile visits abandoned if a page takes longer than three seconds to load, nobody can afford to underestimate the importance of optimising mobile speed when it comes to engaging and retaining customers. 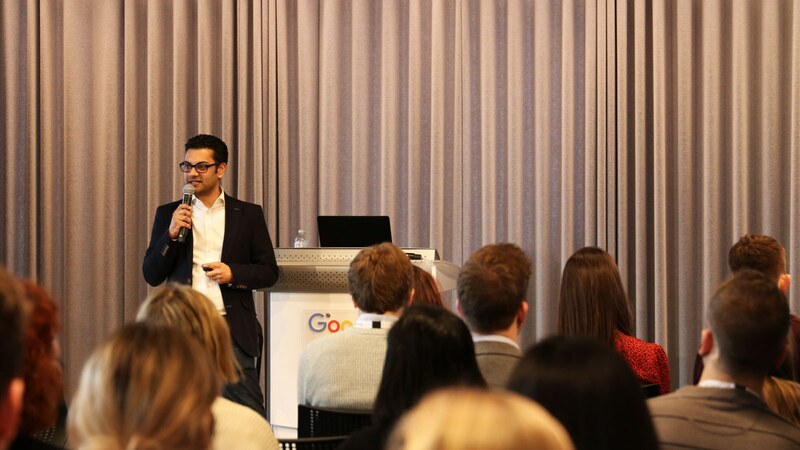 Google can even help with the booking aspect of the user journey, with tailored help for internationalisation and translation available, as well as checkout, payments and customer care support. The second core priority - personalisation - can be split into two: understanding your customers and reaching your customers. Rachel encouraged everyone to make more of the mass of data available through the Google ecosystem of products and services to understand their customers. Moreover, advertisers must be better at using their own data effectively; only 13% of organisations in a recent Forbes survey said they were making the most of their business data. To reach customers, TrueView for Reach is based on a CPM model - rather than the usual YouTube cost-per-view model - giving advertisers a great way to build maximum awareness early on in the customer journey. Richer experiences can be driven by new, more engaging search ad formats. Story Ads and Inspiration Ads both appear within search results, but deliver a richer, more visual experience than standard text ads in order to build interest in and excitement about your brand. 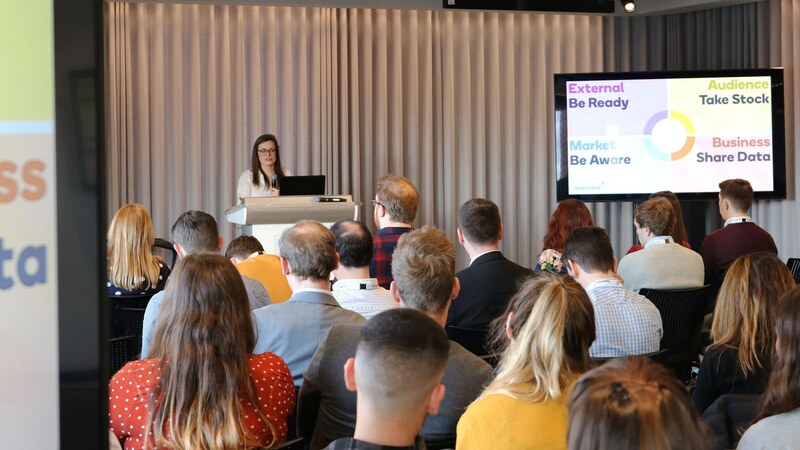 Sian’s discussion was a very clear exposition of the power of data in travel advertising, highlighting how it can be used to answer the questions that really matter and how it can affect the changes that really matter. Data for advertising purposes can be divided into four categories: Audience, Business, Market and External. Audience data seeks to understand user behaviour, and answer questions about your customers - when did they book, how did they book, what did they do before they booked? These are really crucial questions and the best thing about Audience data is that it’s usually right under our noses. We already have it from our web analytics platforms, so it’s just a case of asking the right questions in order to gain real insight form it. Business data can be described as data held within an organisation that is often not shared with or linked to marketing efforts, yet can offer significant help when it comes to aligning marketing activity with wider business objectives. Market data looks outside of your business to understand where you sit in the market, how your brand is perceived, and how you compare to competitors. SearchStar have innovated in this area by creating tools to measure and track online reviews of brands and their competitors overtime, helping our clients understand what is really important to customers. Sian defined external data as pretty much everything else that hadn’t already been covered. However, the most important aspect of this for the travel industry pertains to consumer trends as affected by media coverage of particular destinations, trip types or wider travel trends. By understanding what is influencing consumers, you can put a strategy in place to respond to their needs. Kelsey reiterated the sheer size of the opportunity available from online video advertising in general and from YouTube in particular. With 1.5bn users globally, and 100 million of those identified as “Travellers”, YouTube can quite reasonably claim to be an excellent place to brand awareness for travel brands - but can it drive accountable revenue? Trueview for Action Ads were positioned as the ideal answer to this question. Targeting of these video ads is based on strong signals of user intent - from previous search history, in particular - meaning that advertisers can be sure they’re reaching an audience that is already ready to buy. Overlaying this intent-based data on video targeting means a greater impact in a number of ways. Targeted in this way, videos themselves help drive more revenue, but they also inspire fresh brand searches and are a significant driver of brand lift and awareness. Of course, targeting is only part of the story when it comes to effective advertising, and creative cannot be ignored. Accordingly, YouTube offers a number of ways that it can help to get their creative efforts up to scratch. Existing assets can be cut and edited to create high-quality direct response ads, while YouTube’s directory of trusted partners allows advertisers without any assets to get up and running with a video production company they can trust. The bottom line is that online video is where users are spending their time. If your brand isn’t there, your competitors will be! Ed conducted a quick survey of the room and found that the vast majority were frustrated when it came to attribution and that nobody felt they had a fully working system in place. While the dream of a perfect, data driven model seems tantalisingly close, it is, for the most part, yet to be realised. It was suggested that the reason for this could be one of three things: that a perfect attribution system is impractical, impossible or undesirable. Impracticality could be driven by platform costs, organisational barriers or data collection issues. Attribution might actually be impossible due to the length and complexity of user behaviour, the question of how to include offline influences in any model, and the problem of understanding what really influences purchase decisions. Or it might be that attribution is undesirable, since it distracts us from seeking to create advertising effectiveness (rather than simple efficiency) and in the majority of cases fails to provide actionable insight anyway. With all these hurdles, what can we hope to achieve with attribution efforts? It’s important to remember that any marketing effort should have business growth as its objective, so attribution needs to be shown to help achieve this. Limiting attribution ambitions, making use of micro conversions, and analysing the data that’s already available can often help provide the insight and subsequent action that’s required for business growth, without chasing after a “perfect” tracking and attribution system that simply provides data for data’s sake. 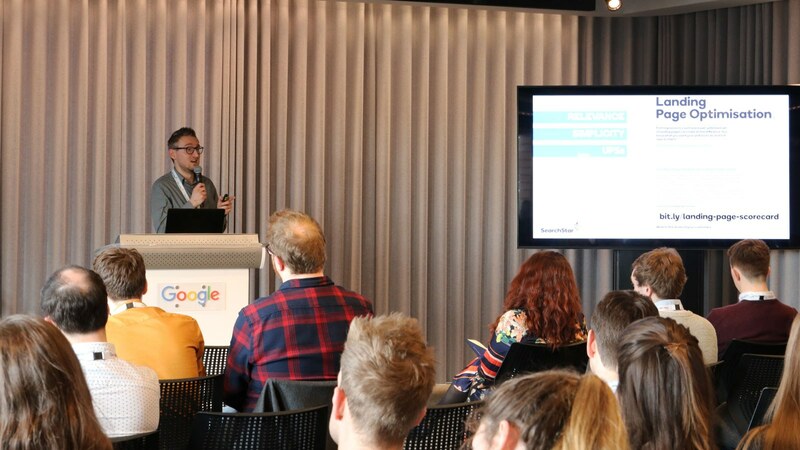 Ryan rounded off the day with a look at how travel advertisers can better provide their customers with frictionless journeys through optimised web experiences. Once again, it was necessary to highlight the importance of mobile in travel. It shouldn’t be seen simply as a research tool. If real business growth is to be derived from the growth in mobile usage, advertisers must be better at treating mobiles as the primary means of booking. In support of this, Ryan ran through the elements of SearchStar’s landing page scorecard to show how mobile experiences can be analysed heuristically: Relevance, Simplicity, USPs, Clutter, Reassurance, Deadline. A simple understanding of what might be improved on a web page provides an immediate indication of what can be changed and tested in order to increase conversion on sites. When it comes to onsite changes prioritised by SearchStar’s own travel clients, now, soon, and in the longer term, it seems that mobile improvements come first, followed by easier access to key content and then better use of available data. Other important things to consider in improving onsite conversion include the increasing sophistication of Chatbots, immediate response services such as Response IQ, and a continued drive to create truer data measurement (even if the attribution dream is unachievable). A final case study showed the importance of careful identification and analysis of problems with conversion on a particular SearchStar client site. This analysis helped motivate an A/B test that was driven by genuine insight, and create a data-driven and effective solution that had a measurable and significant impact on conversion volume. Once again, data was at the heart of creating better consumer experiences.